Johann Georg Reinhardt was an Austrian composer. Giovanni Claudio Pasquini was an Italian poet and librettist. Born in Siena, he served at the court of Charles VI, Holy Roman Emperor in Vienna, first as the Italian teacher to Maria Theresa and her younger sister Maria Anna, and from 1733 as the court poet. After the death of Charles VI, he worked in the Hapsburg courts of Mannheim and Dresden before returning to Siena in 1749 where he remained for the rest of his life. He wrote the libretti for numerous operas, including Caldara's I disingannati, as well as courtly entertainments and oratorios. From 1754 he devoted himself to religious life and lost his sight the following year. He was appointed vice-rector of the University of Siena in 1758, but his last years were marked by financial worries when his nephew died and Pasquini became to the sole support of his five children. The mass, a form of sacred musical composition, is a choral composition that sets the invariable portions of the Eucharistic liturgy to music. Most masses are settings of the liturgy in Latin, the liturgical sacred language of the Catholic Church's Roman liturgy, but there are a significant number written in the languages of non-Catholic countries where vernacular worship has long been the norm. For example, there are many masses written in English for the Church of England. Musical masses take their name from the Catholic liturgy called "the mass" as well. Amadeus is a play by Peter Shaffer, which gives a highly fictionalized account of the lives of the composers Wolfgang Amadeus Mozart and Antonio Salieri. 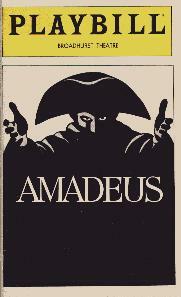 First performed in 1979, Amadeus was inspired by a short 1830 play by Alexander Pushkin called Mozart and Salieri. Sir Peter Levin Shaffer, CBE, was an English playwright and screenwriter. He wrote numerous award-winning plays, of which several were adapted into films. S. Kleindienst: "Marginalien zu Giuseppe Bonnos Requiem". In: Roswitha Vera Karpf (ed. ): Musik am Hof Maria Theresias. In memoriam Vera Schwarz . Katzbichler, Munich 1984, ISBN 3-87397-332-4, (Beiträge zur Aufführungspraxis 6), pp. 131–140. Pietro Antonio Domenico Trapassi, better known by his pseudonym of Pietro Metastasio, was an Italian poet and librettist, considered the most important writer of opera seria libretti. Niccolò Jommelli was a Neapolitan composer. He was born in Aversa and died in Naples. 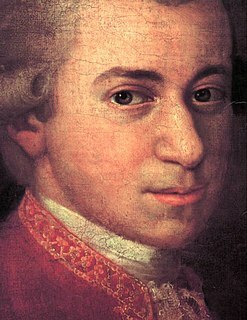 Along with other composers mainly in the Holy Roman Empire and France, he was responsible for certain operatic reforms including reducing ornateness of style and the primacy of star singers somewhat. Johann Adam Joseph Karl Georg Reutter, during his life known as Georg Reutter the Younger was an Austrian composer. According to Jones, in his prime he was "the single most influential musician in Vienna". Pasquale Anfossi was an Italian opera composer. Born in Taggia, Liguria, he studied with Niccolò Piccinni and Antonio Sacchini, and worked mainly in London, Venice and Rome. Der krumme Teufel, Hob. 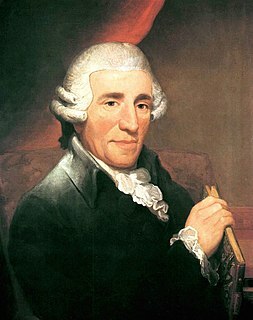 29/1a, was Joseph Haydn's first opera. This German-language comic opera in the genre of Singspiel was commissioned by its librettist, leading comic actor Johann Joseph Felix Kurtz. It was forbidden after two acclaimed performances in Vienna due to "offensive remarks in the text", but later revived and probably revised as Der neue krumme Teufel, Hob. 29/1b. 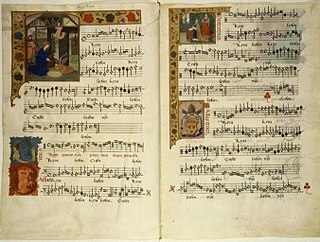 The music is lost, though a libretto survives for each version. Marianna Martines or Marianne von Martinez, was an Austrian singer, pianist and composer of the classical period. Giuseppe Maria Orlandini was an Italian baroque composer particularly known for his more than 40 operas and intermezzos. Highly regarded by music historians of his day like Francesco Saverio Quadrio, Jean-Benjamin de La Borde and Charles Burney, Orlandini, along with Vivaldi, is considered one of the major creators of the new style of opera that dominated the second decade of the 18th century. Adriano in Siria is an 18th-century Italian opera seria in 3 acts by the Czech composer Josef Mysliveček. It was composed to a libretto of the same name by the Italian poet Metastasio that was first performed in 1732 with music of Antonio Caldara and in more than 60 further settings until 1828. For a performance in the 1770s, it would only be expected that a libretto of such age would be abbreviated and altered to suit contemporary operatic taste. No other of the composer's settings of Metatasio's texts contains as many substitute aria texts as this one does. The cuts and changes in the text made for the 1776 performance of Mysliveček's opera are not attributable. Luca Antonio Predieri was an Italian composer and violinist. A member of a prominent family of musicians, Predieri was born in Bologna and was active there from 1704. In 1737 he moved to Vienna, eventually becoming Kapellmeister to the imperial Habsburg court in 1741, a post he held for ten years. In 1765 he returned to his native city where he died two years later at the age of 78. A prolific opera composer, he was also known for his sacred music and oratorios. Although his operas were largely forgotten by the end of his own lifetime and most of their scores lost, individual arias as well some of his sacred music are still performed and recorded. Il re pastore is a 1751 Italian-language opera libretto written by Metastasio. It was first set by Giuseppe Bonno in 1751, but best known today in the version by Gluck (1756) and the Il re pastore of Mozart (1775). Pietro Pompeo Sales was an Italian composer. Solimano is an opera in three acts composed by Johann Adolph Hasse to an Italian-language libretto by Giovanni Ambrogio Migliavacca. Loosely based on an episode in the life of Suleiman the Magnificent, the opera premiered on 5 February 1753 at the Opernhaus am Zwinger in Dresden. The lavish premiere production was designed by Giuseppe Galli Bibiena and featured Angelo Amorevoli in the title role. Giovanni Ambrogio Migliavacca was an Italian poet and librettist. A student and protégé of Metastasio, he was primarily active in the court theaters of Dresden and Vienna. His most successful work was the libretto for the opera Solimano, first set by Johann Adolph Hasse in 1753 and subsequently set by 18 other composers in the course of the next 50 years.